Every online business that you start will ultimately lead to a need of a good web host that can support you well with the tools, bandwidth and storage that you will need to run your website resources. However it is imperative that you give it the initial push until you feel that now is the time to take your data into your own hands, host your applications and run your own blog. There are many companies out there which keep hunting for your business to offer good web hosting services. Today we will narrow this vast list of options into top 5 web hosting companies that provide optimal solutions to your online business. 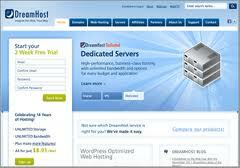 Dreamhost is considered to be a primary web host service with great popularity level. It offers standard shared plans at $8.95 on monthly bases, and dedicated server plans for customers with greater availability needs. Dreamhost comes with extra features offering gallery software for a faster access to the website and also easy one click installation for blogging. Other features include support for Google apps, unlimited email accounts, unlimited databases and unlimited bandwidth. Bluehost start its sharing plan at $4.95 per month which includes offer like unlimited bandwidth, unlimited email, unlimited disk space and a free domain registration. Other basic plansoffer unlimited hosted domains, domain parking, e-commerce features, and more, including one-click Wordpress installs, databases, and more. What distinguish Linode from other web hosting companies is that it offers Virtual Private Hosting (VPS) where you get a virtual server with memory, disk space and file transfer for the application that you are running in your website. Linode can be your choice for a different purposes. 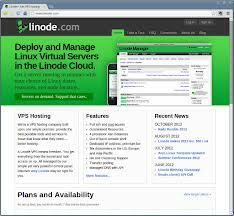 Some use Linode servers as cloud based application servers while others might use it for remote desktop replacement and hosting a blog or developed application. Prices vary depending on the type of server you're looking for and the resources you want it to have, but start at $19.95/month. Hostgator provides you value added features like unlimited bandwidth, disk space and an uptime guarantee at $3.96/month. Even their low-end plans feature unlimited email, 1-click installs, and a $100 Google Adwords credit for all of your customer-building needs. 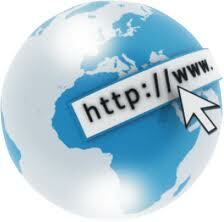 You can choose whatever plans you want for your business website. Remember the longer you signup for it, the larger will be the discount value. 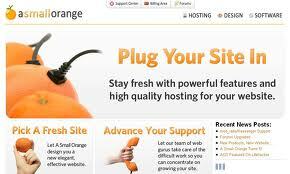 Small Orange can provide you web hosting services at as low as $2.91 per month. You can get a variety of plans with different disk space and bandwidth sizes including unlimited databases, unlimited sub-domains and email addresses. It is considered to be optimal as it provides you services inside a suitable budget that ranges upto $35 annually. The plans suit ever need, detailed stats, bit-by-bit upgrades for people who have needs that fall between plans, and more. They offer quality support to the customers with services running 24 hours ad ay all 7 days of the week. I hope the list above did help you narrow down your options for a better choice of a web hosting partner. You can make detailed search on the final five options to come to a better decision.